Thyme is a member of the mint family and grows in Europe, particularly through the Mediterranean region. There are several varieties of thyme, but most on the market is known as “garden” or lemon thyme which have longer leaves and a flavor that is laced with a lemon-like tang. In general, this herb is quite aromatic and is known for having something of a sweet earthy flavor. In recent studies it was determined that thyme may be more effective in treating acne bacterium blemishes than prescription creams containing benzoyl peroxide. Researchers from the Leeds Metropolitan University in the United Kingdom created a tincture by steeping marigold, myrrh and thyme in alcohol and applied it to bacteria known to cause acne. Each of these tinctures was shown to have a greater effect on these blemishes within five minutes compared to those that were exposed to the plain alcohol. Thyme was found to be the most potent of these mixtures. 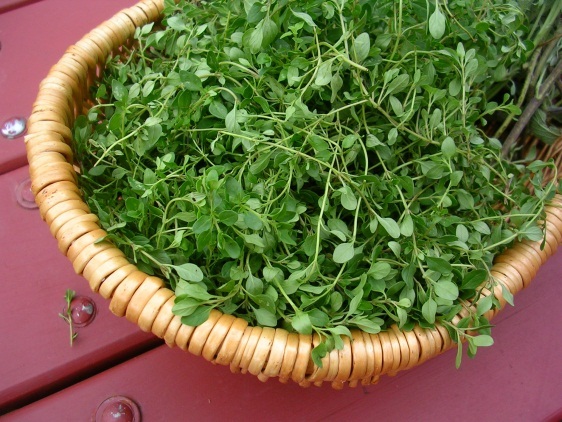 The thyme mixture was also found to be stronger than standard preparations of benzoyl peroxide that is commonly used in acne battling products. This research indicates that thyme may provide an ideal alternative treatment for benzoyl peroxide medications, particularly for those that would like to avoid the side effects such as skin irritation and burning that are often associated with such medications. Herbal applications contain similar anti-inflammatory properties that are just as effective as chemical treatments, if not more, without presenting dangerous side effects. In spite of these findings, dermatologists still warn users to take caution if they plan to attempt using thyme based treatments at home as this research is still preliminary and such products are not yet ready for use in the general market. However, there are several home remedies that come highly recommended for those that would like to use thyme as a toner. 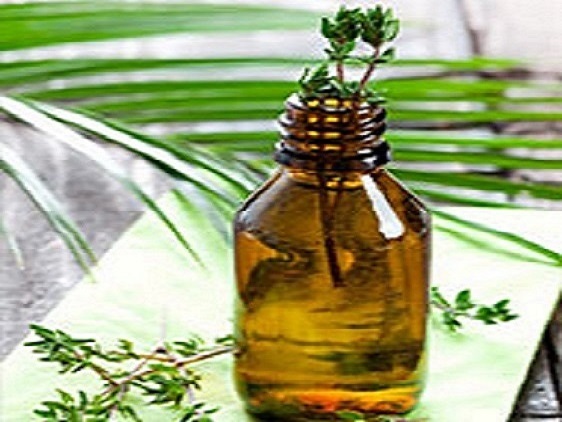 Those that tend to have a negative reaction to harsh acne medications on the market, or those that would simply like to move away from using chemical products on their skin can take advantage of a wide variety of thyme remedies for acne. Given the initial research that indicates that thyme may be more effective in managing acne, these remedies could also assist those who have stubborn blemishes that will not fade with traditional treatments. Place a small bottle in boiling water for 10 minutes to sterilize it, then dry it thoroughly. Place a tablespoon of the dry thyme in the bottle and cover with 3-4 tablespoons of witch hazel. Cover and shake this mixture well. Allow your toner to sit for around 20 minutes. At this point it should take on the color of brown tea which indicates that the thyme is steeping. The toner can be used at this time, but it may be best to keep the thyme in the bottle for a few days before straining it out to get the best effects. Store your toner in a cool dark place and use as needed for up to a month. Sterilize the jar using the boiling method outlined above and place a tablespoon of dry thyme in the jar and cover it with your desired oil. Allow your thyme to steep for two weeks, shaking daily. Store your mixture in a cool, dry place. After two weeks, strain the thyme leaves from the mixture and apply it to the face nightly as a moisturizer which will also combat acne blemishes. Combine several teaspoons of green tea leaves and half a cup of chopped thyme in two cups of water and bring this mixture to a boil. Allow the mixture to steep until the water cools completely. Apply this mixture to your skin using a cotton ball once a day. The mixture can be kept in the refrigerator for over a week. Combine a teaspoon of your cosmetic cay with a teaspoon of the witch hazel thyme toner, mixing well. Apply this mixture to blemishes or pimples on the skin. Leave this mixture in place for 20 minutes, though it can be left on overnight if desired, then rinse the clay away. Combine all ingredients in a food processor or blender and blend until the thyme is in small pieces. Apply this mixture to your face and leave in place for 15 minutes before you rinse it away. It is important to note that this mixture will make your skin photosensitive so you should avoid going out in the sun for some time after using this remedy. It is possible to follow the remedies above as indicated but you may also substitute thyme essential oil for dried thyme in any of the recipes listed above if you prefer. This can make it easier to incorporate the thyme into the remedy, particularly if you do not have a quality blender or food processor that would shred the thyme leaves to the necessary texture. A very easy way to gain the benefits of thyme is to add a few drops of thyme essential oil to your daily oil moisturizer such as the one listed above. You should not add more than 2-3 drops for every tablespoon of oil as essential oils are very potent compared to using fresh thyme.